My friend Keg Johnson Jr was right in the center of the LA music business during the 70’s and 80’s and beyond. The work he did with Friends of Distinction, Slave,Steve Arrington, Leon Sylvers, and The Sylvers, Gerald Levert and so many others is legendary. It was my pleasure to write with him, hang with him, and learn from him over the years. 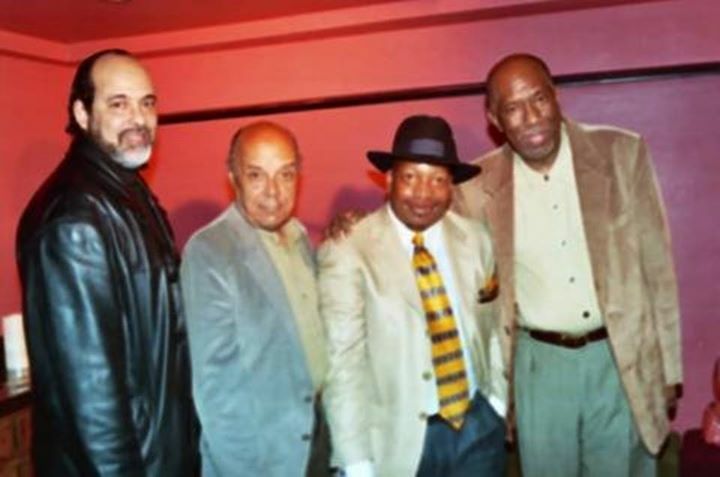 But my greatest honor was bringing Keg, Leon Sylvers and Jerry Peters together for an artist to artist conversation at Tantra. . . an LA restaurant and night club. As I put the event together, what I did not know, was that Keg, Jerry and Leon hadn’t been in a room together in over 30 years. That night, Keg shined. His humor, musical wisdom, and humanity was a genuine treat. His memories of riding on the great Cab Calloway’s train with his dad, (a much respected jazz personality), and his hilarious telling of the mix ups that often happened online because he and his father shared the same name. “I’m the only cat on the internet that was born in 1908, died in 1967, then came back to life to produce and arrange all that music in the 70’s and 80’s.” And so much more. I will be ever grateful for the time we spent in person and on the phone, and so pleased I was able to facilitate the gathering. I miss him. May he ever rest in peace. The Sylvers, Shalamar, Friends of Distinction, Slave, Lou Rawls, Steve Arrington, Blackstreet, Lakeside, Dynasty, N’dambi, Deniece Williams, Bobby Womack, Bobby Hutcherson, Gene Harris, Earth Wind and Fire, Whtney Houston, Joyce Kennedy, The Blind Boys of Alabama, The Osmonds, Lou Rawls, Vesta Williams, Randell K., Foster Sylvers, The Noise Boiz, Wildon Ash, Evelyn Champagne King, Gerald Levert, The Brothers Johnson, Chico Hamilton, The Waters Family, the DeFranco Family, Betty Davis(Nasty Girl), Jimmy Smith, Gloria Lynn and The Spinners, The Mighty Clouds of Joy, Andre Crouch and others. . . Previous: Previous post: IK Multimedia Does it Again. . .